Sophisticated French Provincial upcycle by Tara at Modern Vintage_! 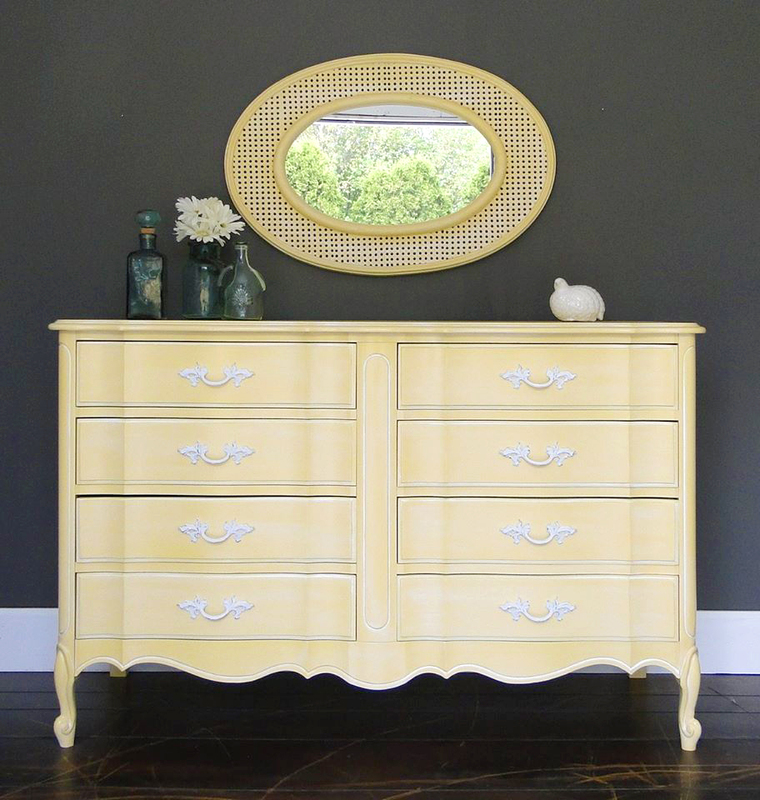 This beauty was finished with a custom mix of Buttermilk Yellow and Sunglow Milk Paints, then glazed with Winter White. Tara shares, "A mix of Buttermilk and Sunglow, frosted with Winter White Glaze, is without a doubt my new obsession! I loved it so much I knew right away that I wanted to do it again on this set when I got it. Perfect for a nursery, guest bedroom or even your own happy bedroom!"